If you’re up early on Monday morning, you’ll be able to catch a glimpse of a rare super blood moon. 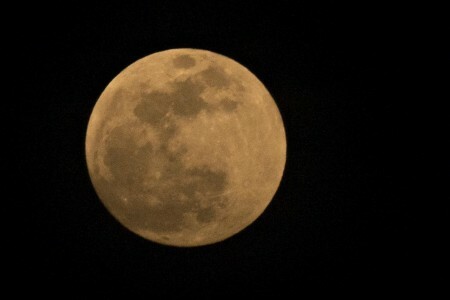 This lunar event, which will last over an hour, is the combination of a super moon and a total lunar eclipse combined. Look for the slightly-larger-than-normal moon in the western skies as the partial eclipse begins just after 04:00 Monday morning. The total eclipse starts just over an hour later at 05:11 and the moon will set at 06:14. The last time this lunar event happened was in 1982 and the next time will be 2033.